The Vanishing of Ethan Carter is an enigmatic journey to discover the truth behind a troubled young man’s sudden disappearance. Drawing inspiration from pulp, private eye and horror fiction, the game takes players on a mysterious narrative experience told in a minimalist fashion. This simple plot manages to pull off an incredible existential exploration of humanity’s darker nature and successfully finds a place in the medium as an IP with greater cultural significance than existing purely as a traditional video game. 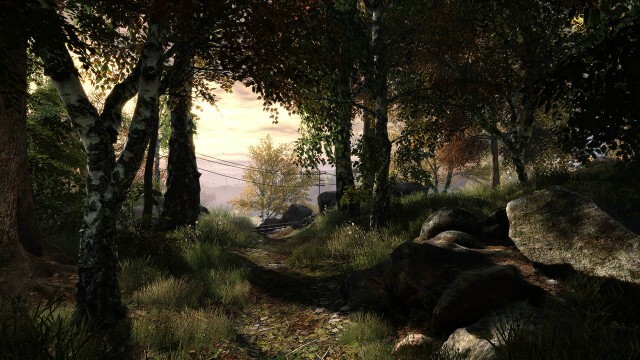 From the very beginning, The Vanishing of Ethan Carter assures you that it won’t hold your hand and trust me, it doesn’t. Players find themselves thrust into a gorgeous non-linear world that openly encourages exploration at a slow, methodical pace, allowing you to drink in every beam of light parting the flowing leafs in the trees above. See, The Vanishing of Ethan Carter pulls you immediately into another world. Like immersive bursts of prose that transport you to another world, the game’s atmosphere and presentation draw you into the breathtaking digital landscape and refuse to let go. Wandering through the lush environments and uncovering the mysteries that surround Ethan’s disturbed family is accompanied by a beautiful soundtrack that seamlessly transitions the player into each new scene. What’s most impressive about The Vanishing of Ethan Carter, though, is the way that the game manages to place you on the edge of your seat through a strong juxtaposition of gorgeous locations and an impeccably eerie atmosphere. Combine these two traits with the title’s cleverly written narrative and it’s hard to deny the game’s elegance. Exploring the mysteries that surround Ethan’s disappearance range from the brutal to downright bizarre; however, many of the situations you uncover reveal a connection to the stories that Ethan writes and leaves behind. Over the course of the story, you feel your heart reeling in agony for the punishment he endures, which triggers an even stronger desire to uncover the truth of the mysterious Sleeper, and what exactly it wants with Ethan. Each scene forces players to piece together puzzles and utilize Paul Prospero’s (the detective) ability to glimpse into the past. This creates a variety of engaging puzzles that tie directly into the narrative, and provide a beautiful moment of reflection once Ethan’s tragedy is revealed. 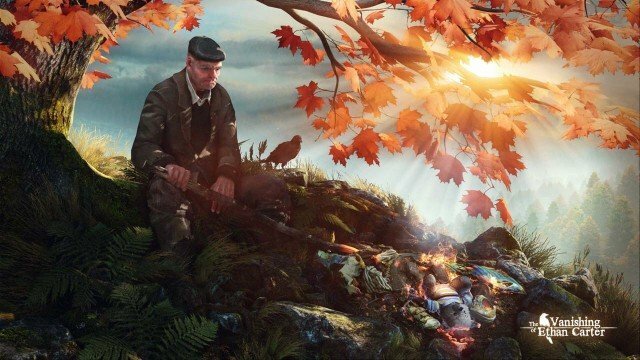 As much as The Vanishing of Ethan Carter delivers a thrilling experience, it has the potential to repel players away all the same. First and foremost, if you don’t care for games that rely on the players desire to wander and gawk at an immersive environment, you may have trouble pushing through the three hour story. Given the game’s non-linear nature, it’s possible to miss certain scenes altogether, thereby forcing the player into needless backtracking. One section that stands out as a hindrance occurs when you’re forced to wander through a network of mine tunnels. Now, it isn’t that this section is particularly terrible. Rather, it’s the potential to seriously distort the player’s orientation in the world and narrative that detracts from the experience. Additionally, Ethan Carter‘s refusal to aid the player in their paranormal investigation may turn away certain gamers, but if you’re in the mood for an engaging murder mystery adventure, you’ll be hard pressed to find a more immersive experience. 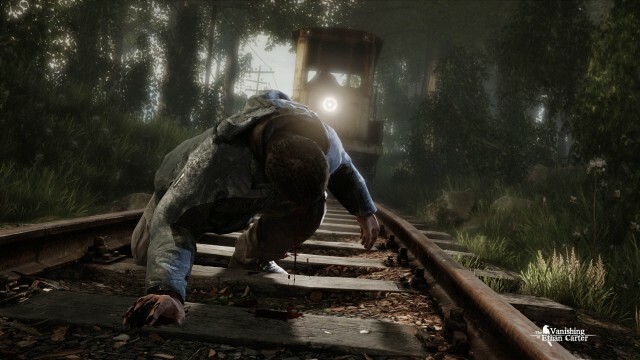 In spite of these minor grievances, The Vanishing of Ethan Carter presents an engaging narrative that takes great, ambitious leaps for storytelling in our industry. Choosing to focus on atmosphere and the personalities of every character fuels the game’s momentum by carefully fusing every element into a cohesive and indeed interactive narrative. It’s a rare occasion that a game earns a special place in my heart, but The Vanishing of Ethan Carter has done just that. Like literary classics and cinematic achievements that linger in the back of your mind forever, Ethan Carter’s story will stay with you long after the credits roll and the Sleeper is put to rest for good. This review is based on a PC copy of the game, which we were provided with.